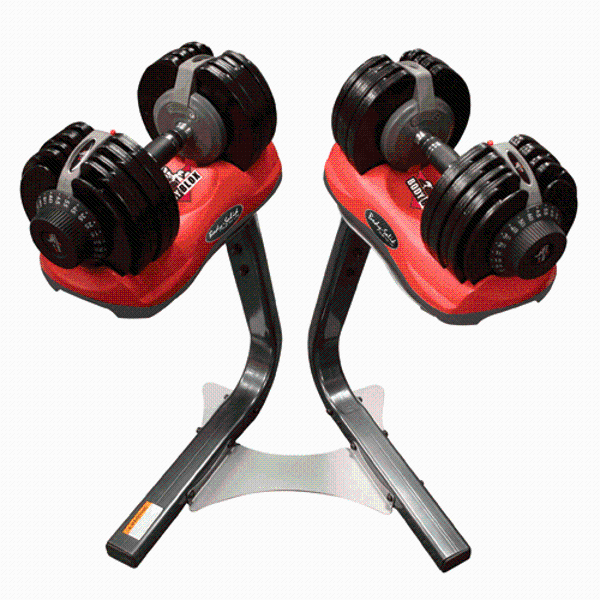 Body-Blox Adjustable Dumbbells are the perfect solution for space-conscious fitness enthusiasts who enjoy the freedom of dumbbell workouts and the versatility of weight changes without the clutter of multiple dumbbell sets. Body-Blox by Body-Solid offers 24 different weights in one set of dumbbells. With one twist of the convenient weight selector dial, users can choose the perfect weight for their workouts from 10 to 65 pounds in five pound increments. Add the sturdy Body-Blox stand for easy adjustments and smooth lift-offs before you begin, and compact storage after you finish your workout. Quality, convenience and versatility make Body-Blox by Body-Solid a must-have item for all your home workouts.